History: Comic books have been inspiring movies and video games for decades. Now they’ve conquered soda. The one we’re referring to here is the zombie-centric comic, Deadworld. It’s allegedly the longest-running zombie comic book in the world. Gary Reed, the comics’ main writer, has parlayed the success of Deadworld into t-shirts and trading cards. And now Caprice Brands and Reed have teamed up to bring Deadworld to soda. 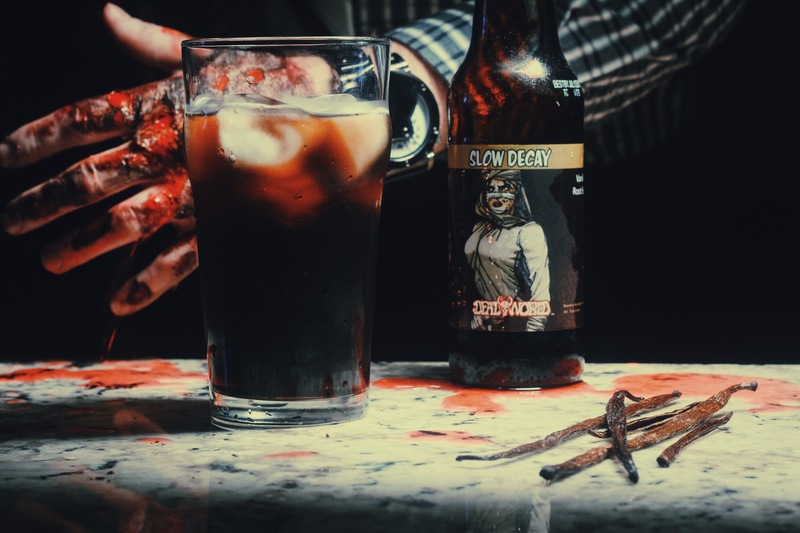 Launched in February of 2015, Deadworld Sodas out of Livonia, Michigan feature zombie-influenced flavors and characters from the comics on the labels. Caprice Brands Retail Marketing Manager, Janelle Powers, tells us each flavor has four different labels. 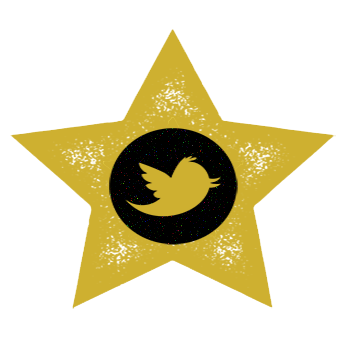 Blah, blah, blah – collect them all – blah, blah, blah. Listen, I already know what you’re thinking. You think this is a gimmick. You think this is a novelty soda because it’s associated with zombies. We asked Powers about that, warning her that those suspicions will pop up in the minds of craft soda connoisseurs. She responded by saying, “We’re not out to just throw out some cheap soda,” and continued by adding that “If you have a good brand with a crappy product, you’re not going to go far.” Deadworld Soda comes in 12 flavors with names like “Zeek Cocktail” and “Goon Bitters,” among them. The company’s most popular flavor is its “Twilight Shuffler Root Beer,” followed closely by today’s review, “Slow Decay Vanilla Root Beer.” Power describes the flavor profile, saying “You guys will definitely taste the vanilla in it. It just has a nice, creamy texture to it.” She notes the brand gets a great response from kids, but is quick to point out Deadworld Soda is for all age groups. Powers tells us the brand is bringing an onslaught of more creepy sodas to stores. “Voodoo zombies, zombie monkeys; anything you can possibly think of,” she boasts. Zombie monkeys, man – just what the world needs. Get ’em before they’re gone and then… come back again. Where to get: You can purchase Slow Decay Vanilla Root Beer online at the company’s website or from YummiCo. Nose: A very sugary candy vanilla scent. 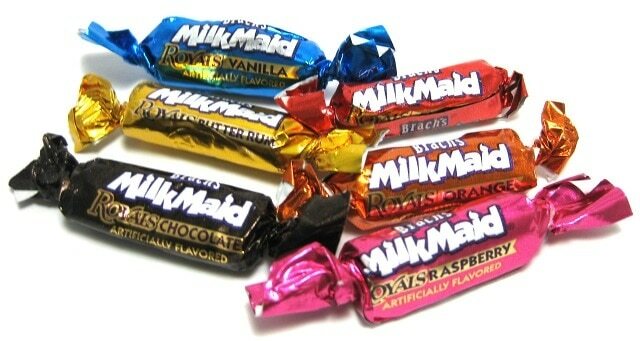 Reminds me of Brach’s Vanilla Milk Maid candies that you’d used to see in the grocery store. Also very similar to Vanilla Tootsie Rolls. Vanilla sugar rush. Bath and Body Works is already thinking of ways to make this scent into a soap. Taste: Sugar; sweet vanilla candy; light mint. You taste frothy carbonation followed by a rapid sugar rush of sweet candied vanilla. This is quickly followed up by a bite that tastes of birch and mild mint. The bite provides a temporary break from the vanilla, but the sweetness comes right back near the end of the sip. This punches you in the mouth with vanilla sugar. Finish: Sweet vanilla that has some mild creaminess mixed with light wintergreen. Rating: There’s nothing gradual about Slow Decay Vanilla Root Beer – this soda rapidly crashes into your tongue with a tidal wave of strong, sugary vanilla. It’s not creamy, but it is sweet. It’s powerful. Borderline decadent. It may even overwhelm some people….. sorry, I was having flash backs to an ex-girlfriend with a very similar description. Where Slow Decay shines is its bite – for a sweet soda, it’s got a pretty crisp bite. It really helps reign in some of that sweetness with contrasting birch oil and mint flavors. 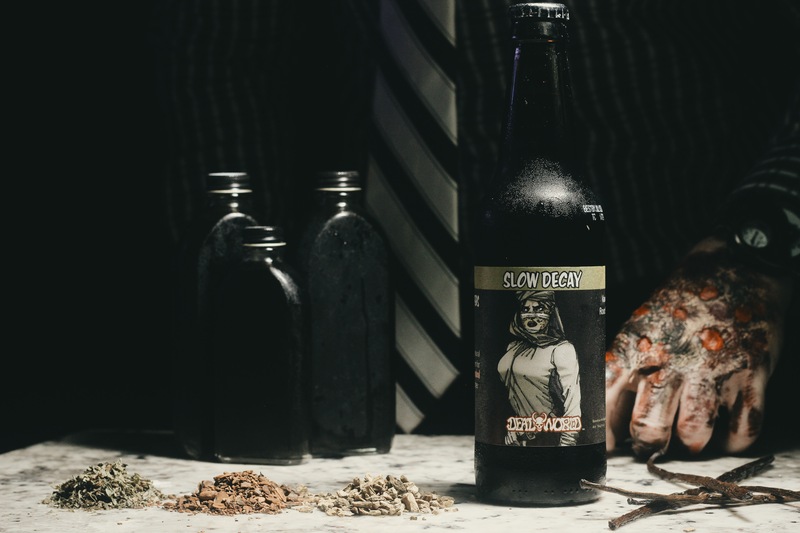 I think Slow Decay probably needs to add a little bit of spice or perhaps just cut back on the sugar levels to really appeal to craft root beer enthusiasts. But here’s the deal: there’s a zombie on the label. Zombies are hot right now. The soda’s brand is called Deadworld. Translation: kids will want this. And kids will love this. They’ll drink all that sugar up, do fifteen cartwheels, run five laps around the house, and then play video games for two hours. And then they’ll want another. For the rest of us, it’s still fun. It’d be great for a theme party. There’s a reason we reviewed it during the week of Halloween. Root beer enthusiasts will probably want to check it out because it is different than the norm. For everybody else, I’d say it’s a toss up. How much are you willing to challenge your pancreas? History: We may have just stumbled upon the most sophisticated-looking root beer available for human consumption. Look at this thing. A butler should serve this to you. There are over 600 brands of root beer according to research done by Thunder Beast Founder and Chief Tasting Officer, Stephen Norberg. He says he wanted to “try to give root beer a unique flavor and different packaging.” We can already confirm he’s succeeded with the latter goal. Norberg actually collects wine bottles from local restaurants in Washington, D.C., sterilizes them, and recycles them for use with his black label root beer. “I remember as a kid, I had a pocket knife with the corkscrew on it,” he says, adding that he wanted to give children a reason to whip out this otherwise useless tool. This dude is passionate about root beer. “As a small child, root beer was my favorite drink in the world… and I never grew out of that.” It only escalated from there. Norberg knew eventually he had to try his own hand at America’s most popular craft soda category. And he did try – for three years. In 2013, once he reached a point that he felt confident in, Norberg purchased some soda-making equipment. There was no turning back after that. Certainly childhood nostalgia is a good portion of the fuel that keeps Thunder Beast churning out root beer. But he wanted to offer up something more, something that targeted the craft soda crowd that could still be enjoyed by kids. And so began the creation of Thunder Beast Black Label. I feel like I gotta put on my Gucci’s just to be in the presence of this soda. Here’s the really cool thing about Thunder Beast Black Label Root Beer: the flavor is constantly evolving. 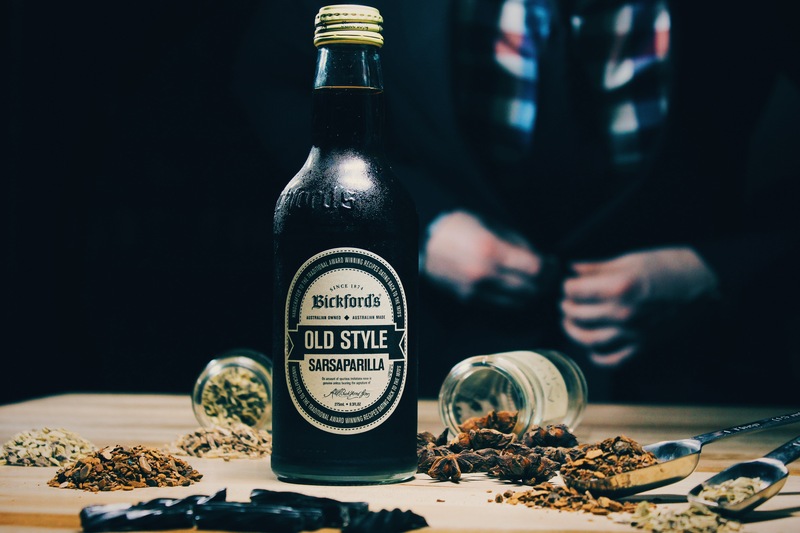 That’s right, black label’s flavor will change every several months. It’s actually never been the same twice. Norbeg says it’s “a way to try crazy, unique flavors.” He notes the current incantation is highlighted by maple and butterscotch. He adds he also uses a little bit of honey to cut down on the amount of sugar used. Thunder Beast Root Beer is made with 9-10 less grams of sugar per bottle, Norberg tells us. Additionally, all Thunder Beast Root Beers contain no caffeine or gluten. Black label is created in small batches with a flavor profile that Norberg describes as “really complex” with “bold highlights” and “botanicals.” The next batch of black label, he tells us, will focus on cinnamon and caramel. With a bottle that fancy, you’d expect some pretty big flavors. I think you’d also expect some pretty good ones. Norberg does too. He put his entire life savings into starting the business. Where to get: Thunder Beast Black Label is sold online via the company’s online store. It’s also found in about 30 stores and restaurants in the Washington, D.C. area. Nose: Maple syrup; wintergreen; butterscotch. Very rich in maple. Taste: Maple syrup; butterscotch; caramel; sugar; subtle mint. Maple and butterscotch define Thunder Beast Black Label Root Beer. The maple is upfront and bold. It’s a taste very similar to maple syrup. The initial taste on the root beer is unique, almost like a quick hit of coffee flavor before the maple comes in. 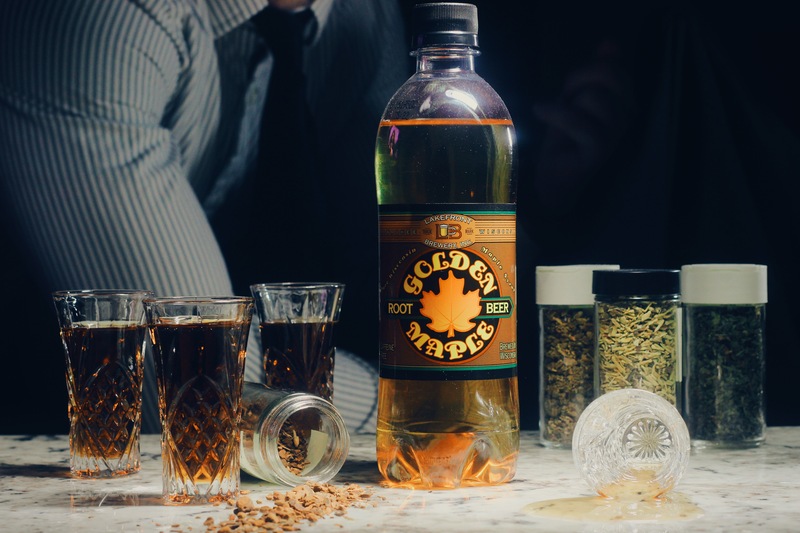 The maple lasts for the first half of each sip until it gives way to a smooth butterscotch taste. You’ll also get a little bit of mint on the second half as well. The carbonation on this is vey light, almost non-existent. This is a sweet root beer. Not much of a bite at all. Big maple on the front end and smooth butterscotch on the back. Finish: Mild butterscotch with subtle notes of caramel. Rating: Thunder Beast is a soda company with a hell of a name that makes some seriously unique root beer. In fact, if you find a fancier root beer than the company’s black label, then I know you’re a liar because that’s impossible. From the wine-inspired label and bottle to the ultra premium ingredients and name, Thunder Beast Label exudes sophistication and maybe a little bit of cockiness. It has essentially mastered the traits all men aspire to perfect in their quest for mates. It’s got big flavors, namely maple and butterscotch. To dumb it down, you’ll taste sweet maple syrup up front with smooth butterscotch on the back half of every sip. You’ll also taste subtle notes of caramel and mint. It’s sweet. Probably sweeter than most root beers. Another unique point is that Thunder Beast Black Label doesn’t really have a traditional root beer mouth feel. The carbonation is extremely light. There’s very little bite. And there are hardly any striking spice notes. It’s right on the fringes of what we all know as root beer. But, of course, with something called “Black Label,” I think we all expect something different. The maple flavor works well with the butterscotch. The transition between the two flavors is excellent. The butterscotch taste is nearly perfect. Not too strong and very smooth. One improvement I think that could be made is to the initial taste once the root beer hits your tongue. The flavors combine to create a tart coffee taste. It’s brief, yes, but it’s disjointing and it’s present at the beginning of every sip. I’d prefer to get right into the maple. I also think because this is so sweet, it would benefit from either more spices or more of a bite. But its two main flavors are executed wonderfully. This is something every craft soda fan should try for its uniqueness in flavor and presentation. Buy a bottle of this and impress your friends. History: We all remember the intense rivalries with had with our siblings. I mean, to this day, my little brother has to call me king at all family gatherings because of the backlog of blackmail I have against him. But those are the memories you’d never trade. Well, the Klisch brothers did decide to trade their sibling rivalry… for a partnership in craft beer making. They call it Lakefront Brewery. The brewery’s tour administrator and manager of environmental programs, Chris Ranson, tells us the the story. It’s a simple one. Jim Klisch decided he wanted to see what home brewing was all about. Humored by his brother’s interest, Russ Klisch bought him a book on the subject. Jim did his homework. Turns out, Jim could brew a mighty fine ale. And Russ was like aw, hell nah. So Russ, too, made his own beer. After going back and forth on tasting trials with friends and family, the two became convinced they had a talent for beer brewing. In 1987, they founded Lakefront Brewery in Milwaukee, Wisconsin. To give you an idea of its success, consider this: in 1988 the brewery turned out 72 barrels of beer; in 2012, that number had grown to 33,368 barrels. 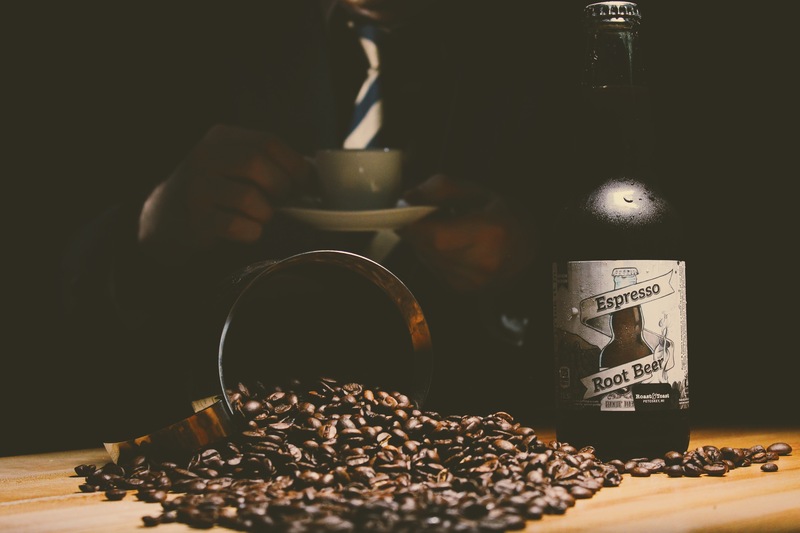 After several years in the business, Ranson says the brothers came to the realization that “people need an alternative to alcohol.” Root beer, as is often the case in breweries, was the logical choice to them. But they wanted to make theirs a little different. Ranson tells us how big maple syrup is in Wisconsin. We weren’t aware, but apparently Wisconsin is the fourth-largest producer of maple syrup in the U.S. behind Vermont, New York, and Connecticut. So in 1995 Lakefront Brewery decided to make a maple root beer using locally-sourced maple syrup. The root beer is made with pure cane sugar and does not use artificial coloring. 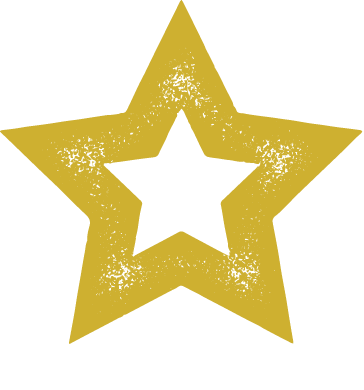 This results in the root beer’s signature “golden” hue. Ranson tells us it’s “very sweet” and “definitely root beer,” but adds the maple flavor gives it a taste “somewhere between a root beer and a cream soda.” We’re not sure what to expect. This is either going to have a flavor identity crisis or it’s going to be something pretty special. 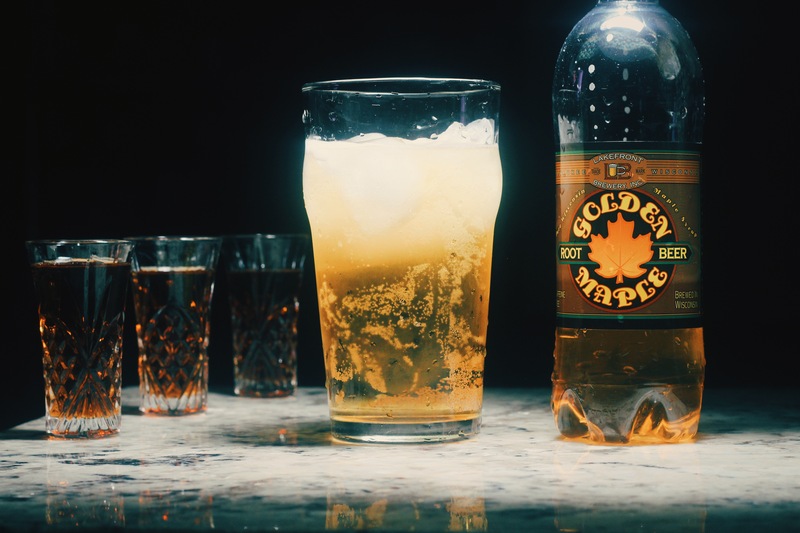 Where to get: In addition to being sold at the brewery, Golden Maple Root Beer is sold sporadically at Wisconsin Whole Foods, and is a big player at Milwaukee state fairs and farmer’s markets. If you aren’t in the area and want to try it, the company does do custom orders. Just know the shipping will be pricey. Contact Lakefront Brewery directly here. Nose: Sarsaparilla root; mint; vanilla; spice. All in all, it’s a pretty standard root beer smell with maybe a little more emphasis on the spices. You can smell the maple a little bit, but I assume that’ll come through more in the taste. Taste: Sugar; sweet bite; maple; wintergreen. What you taste immediately is sugar. This is sweet. Despite that, there’s actually a pretty decent bite to this – but again, it’s a sweeter bite than in most root beers. What’s strange about this is the initial flavor you get when sipping. It’s probably just how the maple interacts with the rest of the ingredients, but I swear this tastes kind of like ginger ale when it first hits your lips. The maple flavor comes through more after you drink the root beer. 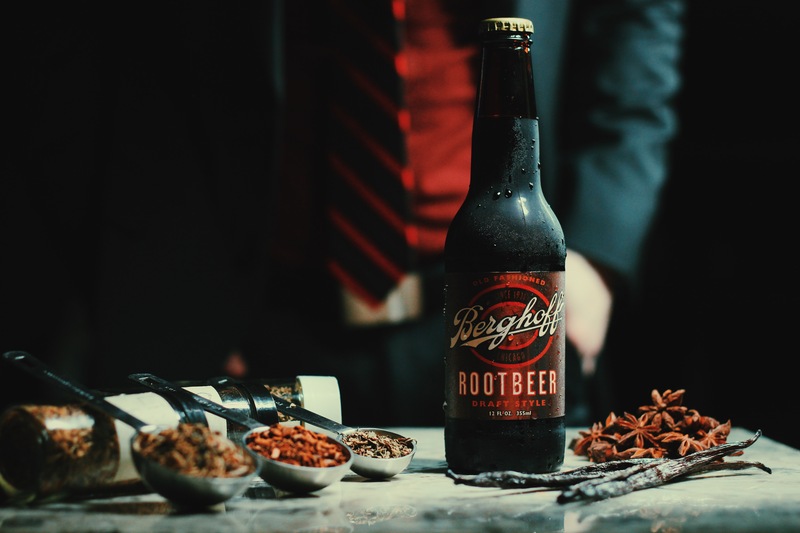 You’ve gotta get through a few sips of sugar-coated spices before you taste what this root beer is all about. Don’t think maple syrup. No, it’s more like a spiced root beer with added maple flavor, yet the spices don’t let the maple completely overtake the flavor profile. What I’m saying is you can taste the maple in this, but it isn’t overpowering. If this didn’t have maple syrup in it, I think this would be a particularly robust-flavored root beer rich in spices, so the maple acts as kind of a mellowing agent. This has decent balance between the maple, spices, and wintergreen mint flavors, but it retains an above average sweetness. Finish: Slightly creamy vanilla and maple. The best part of the root beer. 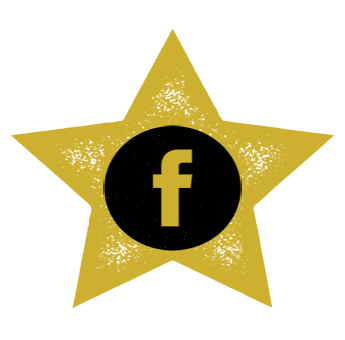 Rating: Lakefront Brewery’s Golden Maple Root Beer is an oddball. But being weird isn’t always bad. I’m weird. I’m also still single, but there’s not necessarily a correlation there. Right? Right, guys? 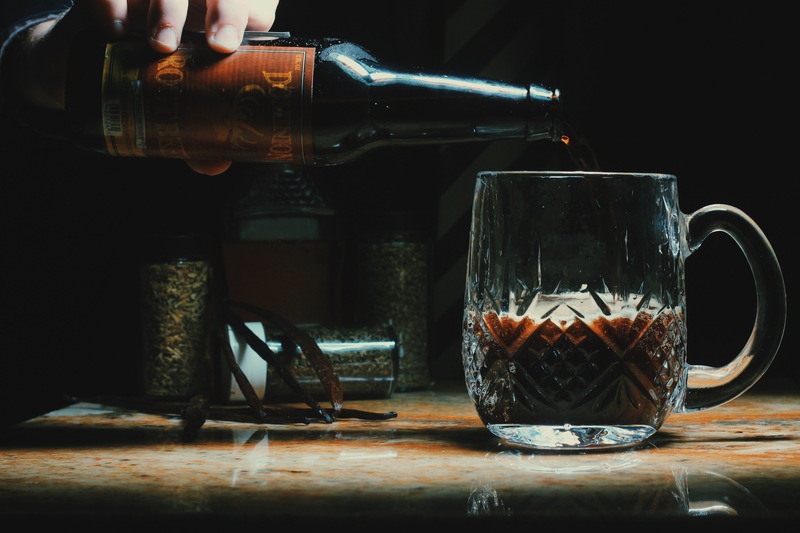 This isn’t going to overpower you with traditional root beer spices and extracts. You taste some sarsaparilla. You taste some wintergreen. 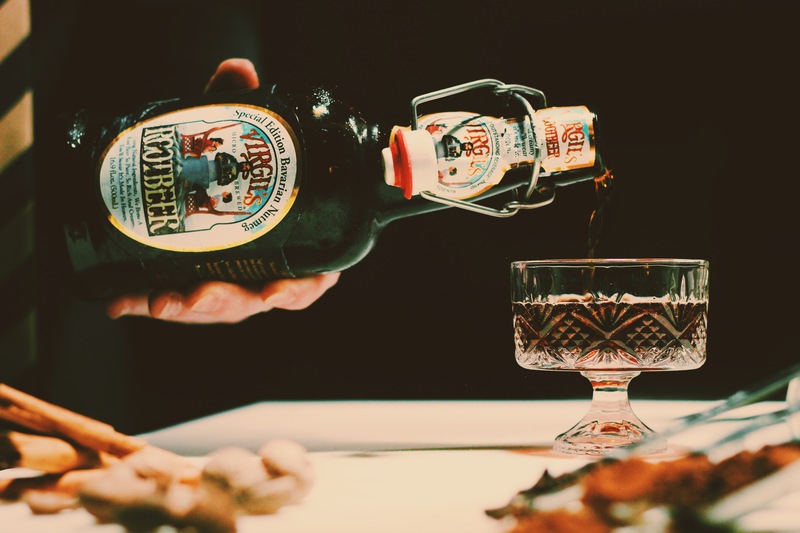 But this root beer isn’t about being traditional; it’s about showcasing its maple flavor. After wading through a sea of liquid sugar on the first few sips, you’ll taste that maple influence. When mixed with the spices that are in here, it’s noticeable, but not particularly bold. If you go into this wanting a strongly maple syrup-flavored root beer, you’re in for disappointment. This is just a fun soda to try because there really aren’t that many maple root beers out there, and there are even fewer with a pale yellow color like this one. The biggest shortcoming of this root beer is its sugariness. Generally in root beer, sugar isn’t something that is so striking because of all the spices that counter the sweetness. But when the two most noticeable ingredients you taste are sugar and maple syrup, I mean, it’s a lot to handle. This needs more of a traditional root beer bite to balance out all that sugar. I’d suggest more of a mint flavor too. Nothing that would drastically change its identity, just little tweaks to help reign in my impending diabetes. That said, if you like sweet root beers, you might just find a favorite here. Bottom line: Lakefront Brewery’s Golden Maple Root Beer probably isn’t one you’ll drink all the time, but it’s a fun change of pace for the craft soda enthusiast. History: In 2007 a love story began when Fordham Brewing out of Anapolis, Maryland and Old Dominion Brewing from Ashburn, Virgina merged to make beautiful beer together in Dover, Delaware. The brands Fordham and Dominion still maintain separate identities, so you’ll find the more adventurous offerings coming from the Old Dominion side, while the traditional ales and IPAs are made by Fordham. There was no prenup in this marriage, so Old Dominion decided to bring its sodas into the relationship too. Chief among them was the root beer, created during Old Dominion’s first year of existence in 1989. “We love doing it,” Fordham and Dominion CEO, Jim Lutz, says about the brewery’s sodas. There’s an affable charm to Lutz. He tells us he prefers to be called “Head Forklift Driver.” I bet he’s got dad jokes for days. What his brewery also has is soda… and lots of it. In fact, Lutz mentions that about 25% of the brewery’s business comes from its soda. In addition to the root beer, Old Dominion also makes a ginger ale, black cherry, and orange cream soda. But the root beer is the only one that maintains its original recipe, still the same as it was in 1989. Some of the premier ingredients include pure cane sugar, honey, vanilla, and yucca root. The latter is what should stand out to you even though you probably don’t know what it is or how it tastes. 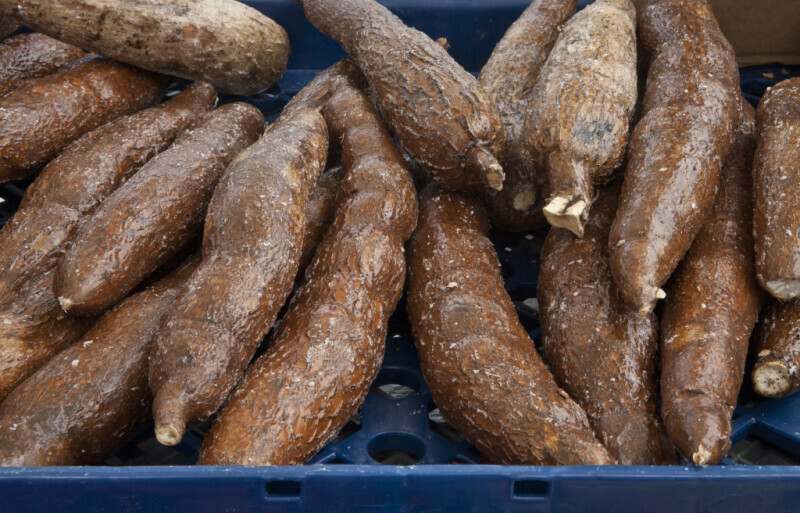 Yucca kind of looks like a piece of ginger and a carrot had a baby and it turned out uglier than you expected. The flavor really varies depending on the piece you get, but people often describe it as bitter or tasting like a potato. It’s also occasionally sweet, though. As for the flavor of the root beer, Lutz tells us they wanted it to taste like a sweet treat. “It tastes like the old fashioned root beer when I used to ride my bike up to this old fashioned root beer stand,” he says. Nothing wrong with spoiling yourself with a little nostalgia-inducing root beer. Where to get: Old Dominion sodas are sold mainly throughout the Mid-Atlantic region. Soda drinkers in Delaware, Virginia, Maryland and Washington D.C. will have the easiest time finding them. They are also sporadically available in Pennsylvania and New Jersey. Surprisingly, Old Dominion also sells lots of its soda in London, England for all you UK folk. The rest of us can purchase it online from Harris Teeter Grocer and Pharmacy or by contacting the brewery directly via email and setting up an order. Nose: Vanilla; wintergreen. Pretty standard root beer nose with an emphasis on creamy vanilla and mint. Taste: Honey; herbal; malt; mint; creamy vanilla. 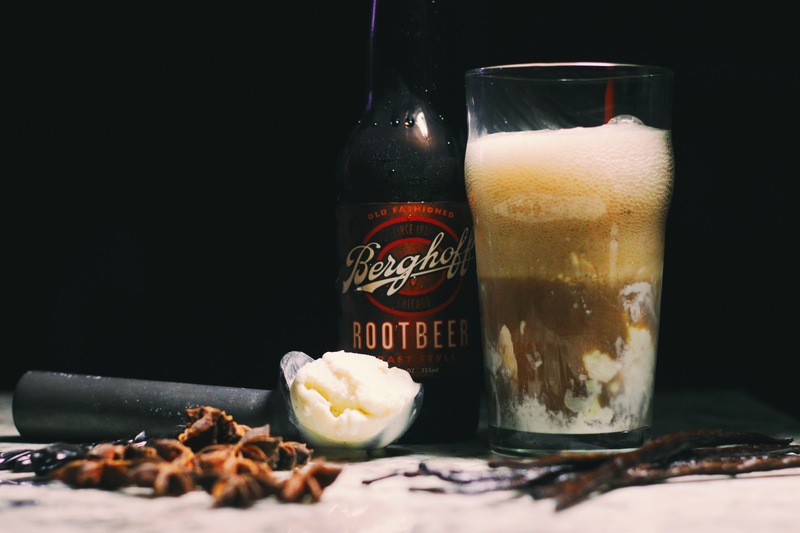 This is a sophisticated flavor profile, even for a root beer. A lot going on in the mouth. The flavors are in layers. Up front is a big note of honey on the back of the tongue. This is followed up by equal parts of creamy mint and vanilla. You’re about half way through the sip, and at this point, the root beer is a little sweet. Next come the herbal elements that provide balance. This is also where the carbonation reaches its peak to help provide the root beer’s bite. The wintergreen sticks around longer than the vanilla and is supplemented by yucca. The yucca gives the root beer a botanical element and imparts a little maltiness as well when combined with the mint and honey. It’s a lot for the mouth to process when analyzing, but the flavors work. Finish: Slightly bitter, herbal mint with undertones of classic root beer. Rating: Root beers are a dime-a-dozen in the craft soda landscape. 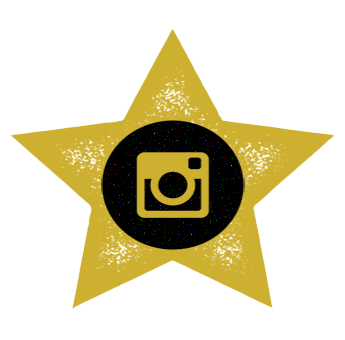 The kingpin of the crop; you’ve gotta really make your version stand out to get noticed. Old Dominion Brewing has done a good job putting a different twist on their root beer. It isn’t like anything else. There’s multiple layers of flavor to this beverage, which is what makes it rise above others. Among the highlights include its use of honey, vanilla, mint, and yucca. 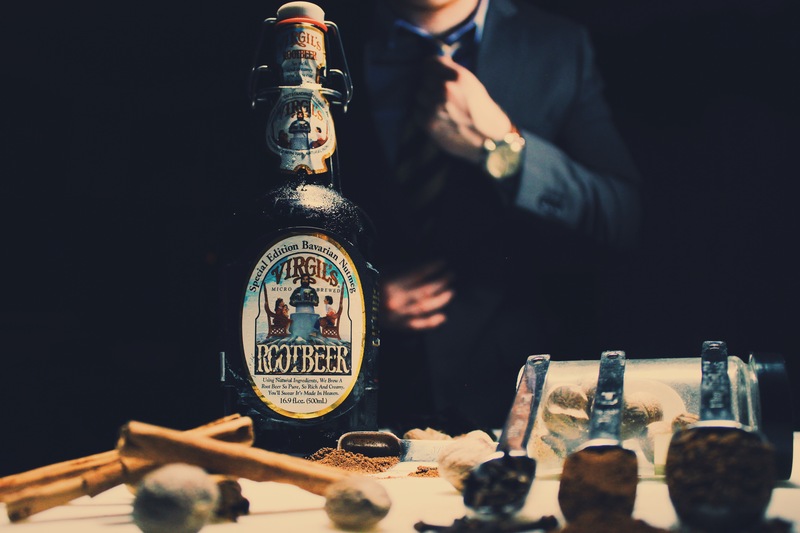 It’s just a little more herbal than other root beers, while still retaining a crisp sweetness. 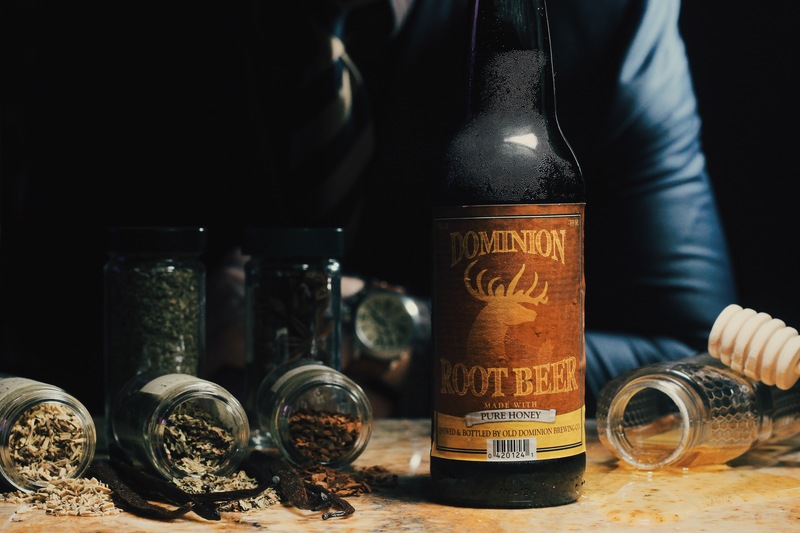 Usually we take the term “herbal” with root beers to mean mint, but Old Dominion’s Root Beer has a distinct note of sweet malt. It’s likely the way all the ingredients work together, chiefly the yucca and honey. 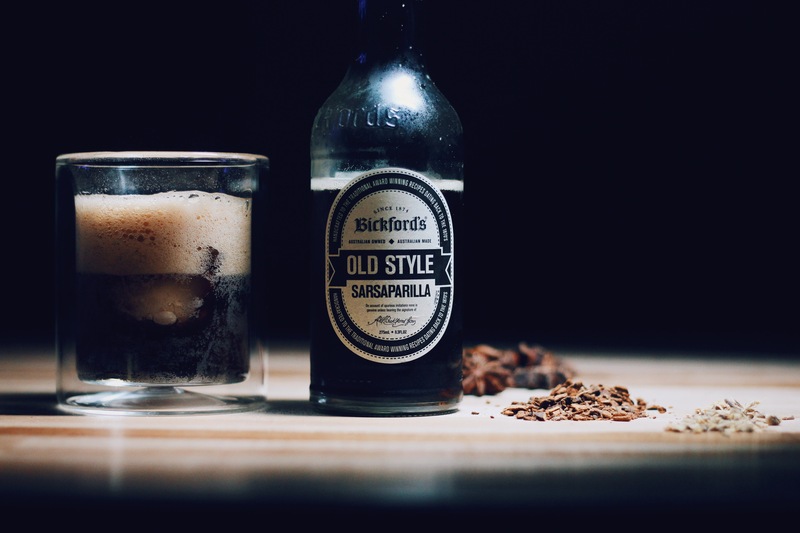 Both the mint and vanilla elements have a creaminess to them and these play well with the root beer’s bite and herbal notes. This root beer is like the opposite of all your break-ups: delicious, fun to process, and you won’t be crying when the pizza guy shows up. I wouldn’t mind seeing the vanilla a little more prominent. I think that would add another enjoyable element to play off the honey and yucca. Old Dominion Brewing has brewed up a really enjoyable root beer that should be savored over time. 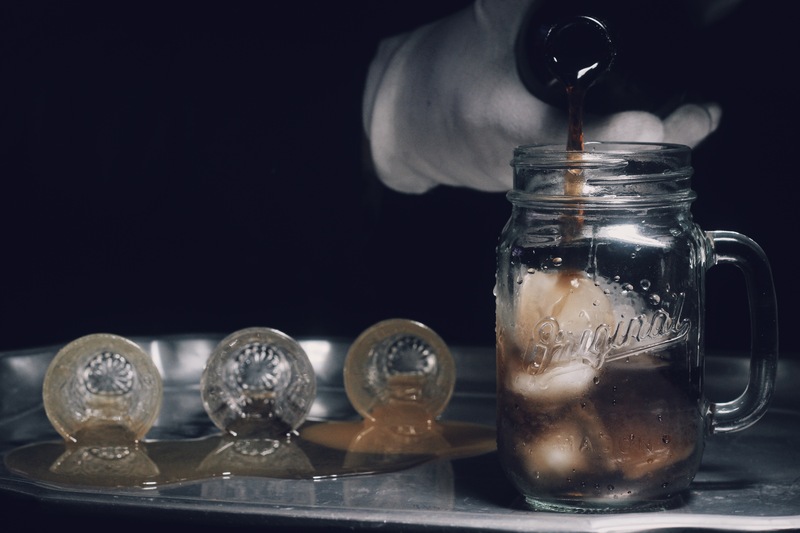 Sip slowly without ice and up your root beer game.